Coming soon. Please contact us for early access. Save time by adding functions to your architecture. Use Pivotal Function Service (PFS) to handle actions including web events, event-based integration, and large scale streaming data. With PFS, you can quickly set up functions for a variety of events. PFS is architected to support pub/sub message delivery over messaging channels. PFS lets you easily run functions on-premises and in the public cloud for maximum flexibility. PFS is built on Knative, an open-source project led by Google. Knative simplifies how developers deploy functions atop Kubernetes and Istio. PFS features a source-to-container mechanism to simplify deployment. Use proven components like Cloud Foundry Buildpacks. PFS Event Sources facilitate the creation of Feeds from a variety of external event sources such GitHub webhooks, blob stores, and database services. PFS can be connected easily with popular message brokers such as Kafka, Google Pub/Sub, and RabbitMQ. These provide a reliable backing services for messaging channels. Pivotal will continue to develop the riff invoker model in PFS, enabling developers to deliver both streaming and non-streaming function code using simple, language-idiomatic interfaces. Autoscale from 0 to 1, from 1 to N instances, then back down to zero instances. PFS helps you realize the benefits of Kubernetes and Istio, even as it abstracts away the complexity of both technologies. PFS allows you to use familiar, container-based workflows for serverless scenarios. PFS supports the authoring of functions in your chosen framework - Node.js, Spring/Java, Go, Python, and Shell. 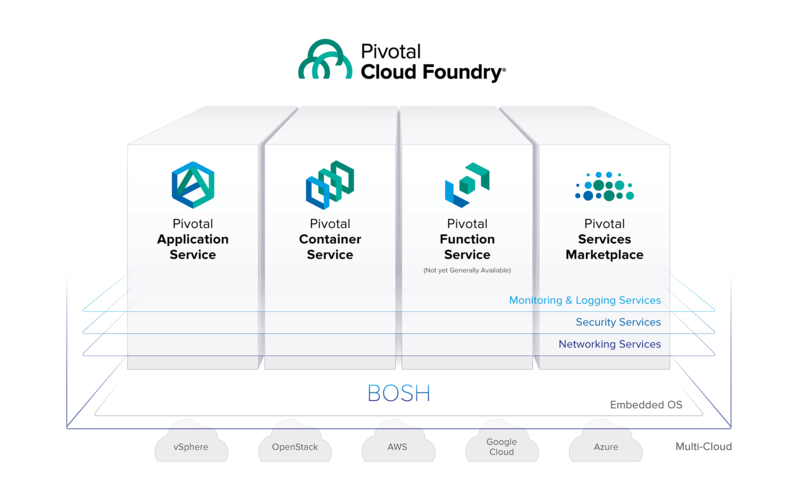 PFS will soon be commercially available, supported as part of Pivotal Cloud Foundry. Pivotal Cloud Foundry is engineered to deliver a single software platform to run an entire enterprise—capable of scaling to support hundreds of IT teams and thousands of applications. We will contact you when access to the release has been made available to you on Pivotal Network.